As a student of corporate culture, I’ve been following the country’s job loss news with a mix of horror and detachment. Obviously, when nobody is buying your products, you can’t keep your entire team intact. But what does cutting surviving employees’ salaries and 401ks really have to do with a company’s long-term viability? as counter-intuitive as it sounds, you need to invest in fun instead. Fun is a signature element of people-centric management; an approach that puts people ahead of the bottom line. A recent American Management Association study found that this type of workplace culture is less vulnerable to market cycles. We’re always looking for ways to lighten up the environment in our office. For instance, everybody wore their favorite team jerseys on the Friday before the Super Bowl, winner s of our version of “The Amazing Race” had a great time on a four-day trip to New York and I’ll be emceeing our annual Gong Show (our “lack-of” talent show). Making things fun is important because our financials prove we can’t provide a premium service–and charge accordingly–without a happy, motivated workforce. Here’s how they do it. People-centric businesses know they can’t satisfy customers with freaked out workers. In today’s economy, stressed out customers won’t tolerate service issues. While everybody else was cutting back, our management team gave 70 percent of our staff a salary bump. We cut into profits, but a 3 to 5 percent raise makes a huge difference to a single mom with two kids and the cost will pay for itself many times over in loyalty and quality service. People-centric businesses know managers are the most effective leaders in tough times. It’s easier to open your books than your heart, but keeping an open dialogue with employees is a great way of rallying a spooked team. Internal forums like town halls are a chance to say, “We can’t make any guarantees, but we’re doing everything we can to protect you. What else can we do to get through this together?” Workers feel safer and more motivated. When layoffs are inevitable, your employees know you really did do everything you could to protect them. People-centric businesses are ahead of the communication curve. Progressive companies laid the foundation for the current downturn years ago by creating an open dialog and trusting relationship with employees about the company’s goals. Employees who were plugged into their company’s financials have been helping whittle down excesses long before the market soured. People-centric businesses don’t cut back on training in a crunch. We just finished an exercise to make sure everybody understands our brand. It took time and consulting fees weren’t cheap, but everyone’s connecting our strategy to their daily routines, with an eye to enhanced performance and client retention. 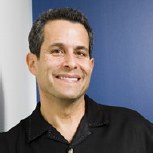 Paul Spiegelman is a sought-after speaker and author on customer service, culture and workforce engagement. As CEO of The Beryl Companies, he oversees the strategic planning and business development for the nation’s leading company in healthcare customer interactions and relationship management. His book, Why Is Everyone Smiling? The Secret Behind Passion, Productivity, and Profit was published in 2007. Why is it so Difficult to find the right candidates these days?